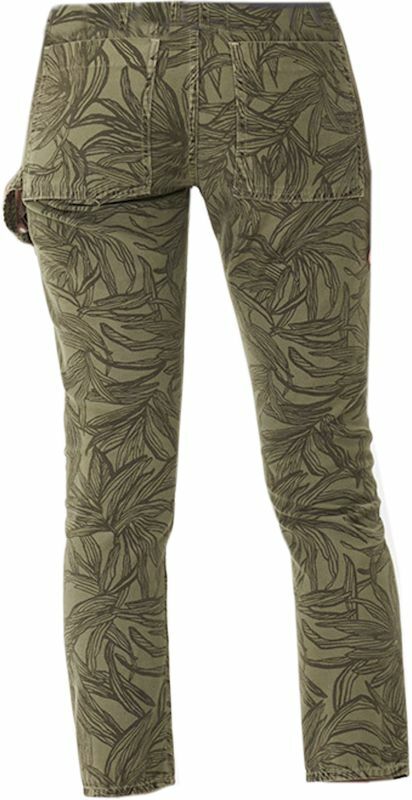 Rise: 9 1/4�; Inseam: 27"; Leg Opening: 13 1/2"
The Leah cargo is one of our favorite styles from Citizens, and when you add in this playful palm print, we have true love! A non-stretch cotton in a weathered, light denim cotton fabric, with oversized cargo pockets, a side loop detail, and a super cool palm tree print. The print is subtle enough, and the color neutral enough, that these still manage to go perfectly with so many colors! A super fun addition to your citizens collection!